A delight to enjoy on special occasions !! Our pure honey is a 100% natural product and with all the sanitary guarantees, without preservatives, colorings, nor any flavor enhancement additive, that arrives at your table with all the properties intact and the enzymes, without any alteration, Transformation or mixing. 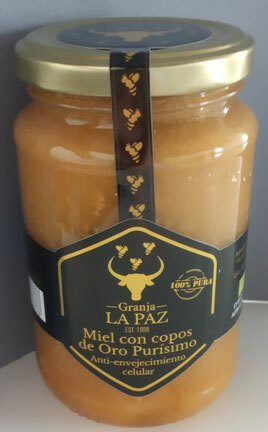 We are proud to state that Granja LaPaz does not feed bees with any type of syrup or inverted sugar. 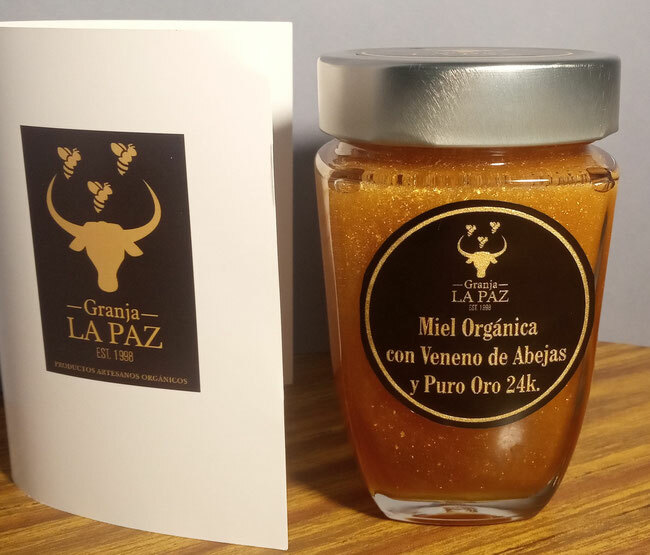 Granja LaPaz does not mix honeys of different apiaries or different blooms, nor mix of honeys from other beekeepers. We complete the whole process in a handmade way: care of apiaries, product collection and packaging. We transfer our apiaries to different sustainable areas to obtain the best flowers of each season and area. It is common in beekeepers to extract all the honey from the hives without leaving any type of reserve to face the winter period and then feed the bees to try to cover the needs of the colonies. However this, according to a European study, is highly detrimental in many respects. 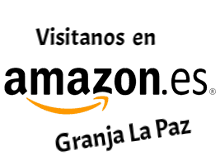 For these reasons, we are pleased to share with our loyal customers the unique products of Granja LaPaz. Fresh pollen is the authentic caviar of flowers. Pollen is the secretion of the male part of flowers (the anthers). When the pollen grains fall on the pistil (female organ of the flower) the pollinate is produced. As the bees pass from flower to flower, they absorb the nectar of the flowers and fill their legs with pollen. The bees (which are not the same as those of nectar) clean the pollen of the body, moistening it with saliva and nectar and forming small "meatballs" to transport in the baskets of its legs to the hive. The pollen grains change color and flavor depending on the species of plant from which it has been extracted. 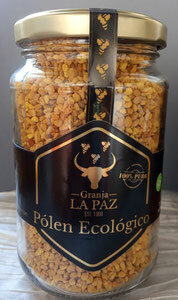 Pollen is the only food that contains 22 essential amino acids ... undoubtedly an authentic delicacy! We also have Ecological dry pollen and Ecological pollen powder. Fonts Copyright © 1998 - 2019 Granja La Paz y sus licencias. Todos los derechos reservados. Las imágenes son solo con fines ilustrativos y siguen siendo de propriedad intelectual del propietario.